There's no use investing in quality lumber, drywall or other building materials if you don't also have the right fasteners. At our online store, you will find a wide variety of nails, screws, and other items that will strongly hold your structure together for years to come. Don't compromise the integrity of your structure by improvising! At Buildworld we've got you covered with the right item that's suited for each specific job. For furniture reinforcement, fence building, and other rough wood carpentry projects where appearance isn't paramount but strength most definitely is, this is the nail you want to go with. As is the case with all of our items, we carry various sizes as well as galvanized versions for outdoor use. No other nail is more ideally suited for roofing. Perfect for securing plywood laminates to timber joists, the sharp point of the long shaft easily makes its way into even the hardest lumber. The round, washer style nail head makes sure that any insulation is held perfectly in place also. 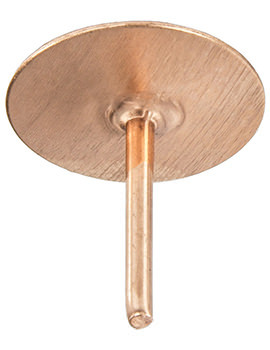 Due to the chemical and biological properties of copper, this particular nail is used in a wide variety of specialized applications ranging from landscaping to horse caretaking and beyond. 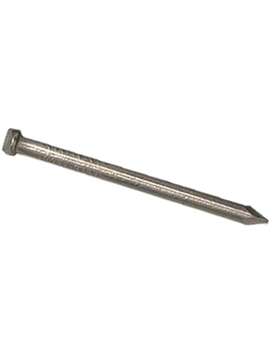 Stainless steel panel pins are the fastener of choice for finishing work where a larger nail would damage the materials. Veneer pins are commonly used to affix metal and plastic to wood. They can also be used to create a temporary joint between two pieces of wood in the framing process. Different jobs with different materials require different fasteners, and this is the nail of choice for drywall professionals. When mortar and cement can't get the job done all by themselves, bricklayers and stone masons use this item to hold things together. Used in both masonry and carpentry, this specialized nail is getting harder and harder to find. Fortunately, at Buildworld we have plenty of these fine fixing devices in stock in lengths ranging from 25 to 100mm. Nail troublesome floorboards down once and for all with the fastener that's specifically designed for that purpose. Another nail that sinks into the wood where it's hidden from view, making it perfect for interior joinery work.